CHICAGO (WLS) -- University of Illinois at Chicago campus police said a student was choked in a domestic battery incident Thursday afternoon. 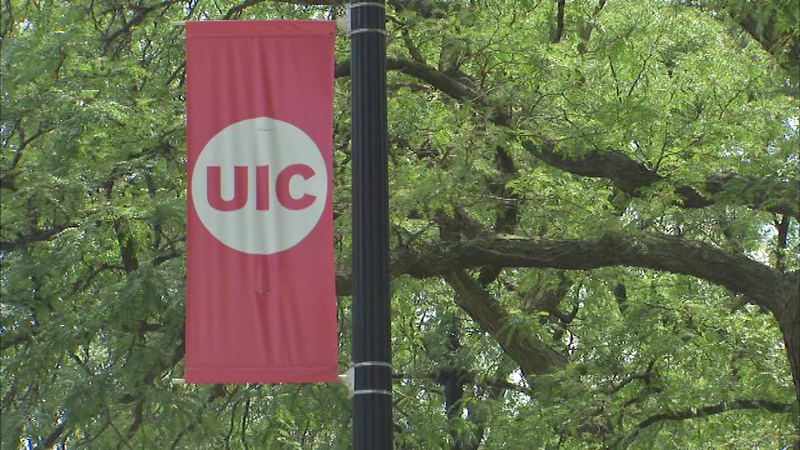 Campus police said around 1:35 p.m., in the 1200-block of South Halsted Street, someone saw a man, who they said is not affiliated with UIC, sitting on the victim while choking her. The witness called police, but the man fled the scene. UIC Police canvassed the area but could not locate him. Campus police said the man is known to the victim. He is described as a 22-year-old black man, 5 ft. 9 in. tall and 185 lbs., wearing a gray zip-up jacket, black sweat pants and a UIC beanie hat. Anyone with information should contact the UIC Police Department at 312-996-2830.